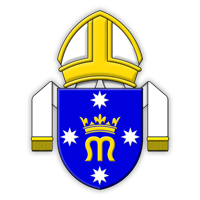 Meets: Saint Benedict’s Catholic Church, Mowbray Terrace, East Brisbane. Sundays: Holy Mass, 9.30 am; Evensong & Benediction 6.30 pm. Meets: St Peter’s Catholic Church corner Ward Street and Upper Dawson Road, Allenstown, Rockhampton 4700. Other parish activities please contact the clergy. Weekdays:Wednesday to Sunday, Morning Prayer is said before each Mass at 7.10am. For information re Holy Cross, Duaun Island, contact Fr Gordon Barnier.